Certis is a pioneer in the development of biological pesticides and has become one of the world’s leading manufacturers and distributors of biopesticides. An established crop protection business with direct operations in key European markets. Certis UK is a leading crop protection business committed to providing our customers with a wide range of innovative, integrated crop protection solutions, designed to overcome today’s production challenges. From core arable products based on essential active ingredients, through to biopesticide based insecticides for fruit and protected crops, the Certis range covers a wide variety of crop sectors and solutions. To become a leading player in speciality products and high value crop sectors providing our customers with access to product choice and crop protection solutions to build their business. At the core of the business lies a range of crop protection technologies to support growers from soil preparation through to harvest. The Certis range includes soil fumigants, conventional and biological pesticides and beneficial insects, as well as pheromone-based trapping and monitoring devices. The benefit of these technologies is combined in a broad offer, using the pan-European and international experience and expertise within the company. The company has taken a crop-based approach to the market by building a portfolio that addresses the needs of growers looking to meet the demands placed on them by other stakeholders in the food value chain. Certis Europe recognises the need to develop relationships with key influencers at all levels. It works hard to establish and maintain a dialogue with them, in order to have a clear understanding of the issues affecting the industry, and is well placed to present an offer that meets their needs as well as those of growers. We have built and continue to build our business on the premise that successful organisations are driven to 'win' by successful leaders who have a clear vision of our goal and a commitment to deliver the highest standards. We are results driven, have a passion to succeed and are determined to be the best at everything. Our goals are set at the highest level. Our aim is to support our people so that they can achieve their own personal ambition. As individuals we accept personal responsibility for our own actions and results. We strive to find solutions rather than excuses and support decisions once they are made. At the centre of our business concept is the belief that our customers should have the choice of a wide range of solutions. The Company is working continuously to expand our offer to provide solutions to meet the challenges faced by our customers. Certis continually challenges the status quo. We inspire and enable people to achieve high expectations, standards and challenging goals. Innovation is recognised and encouraged. We act with integrity and demonstrate a commitment to behave ethically and with respect to all our internal and external stakeholders. Individuals act in a responsible manner and are committed to minimise the impact that our products may have on mankind and the environment through sound stewardship practice. We are open, honest and fair in all our dealings. Open lines of communication are essential to maintaining people's confidence and trust in Certis and its commitment to its objectives. The sharing of knowledge and ideas across functions and geographical boundaries is encouraged. We aim to provide an environment in which our people feel positive and enthusiastic about what they are doing, with a clear sense of purpose, confident about their ability to meet the challenges, and pride in their individual contribution to the Company's success. Our organisation is free from discrimination, prejudice and racism. The diversity and skills our people bring to the business is valued. Certis promotes a one Company culture and actively seeks to recognise, embrace and learn from our cultural differences. Certis is concerned for the health, safety and welfare of all our people. Certis attracts and successfully retains people of high calibre. It is our belief that it is the responsibility of all individuals to continually develop themselves and others. People are actively supported and encouraged to develop their capabilities to the full so they can deliver their very best, and realise their full potential. Integrated Crop Management (ICM), of which Integrated Pest Management (IPM) is a part, is fast becoming a required strategy for production in most crops, including those in the arable sector. The pressure to adopt ICM strategies has come from a number of directions, including consumers and food retailers, and IPM featured as a requirement for future product registration in the revision of the European Plant Protection Regulation. Growers are also increasingly aware of the need to steward the environment and a sustainable approach to crop production is a key factor in their decision-making. Certis products fit well within many IPM systems, not only in protected crops,where beneficial insects from BCP Certis play an important role in pest control, but also in top fruit and vegetables where products such as Bt insecticides and Cyd-X, a virus product that controls Codling Moth in apples, can help growers achieve high quality standards and manage residue levels of conventional chemicals. One of Certis Europe's objectives is to contribute to the production of high quality, healthy and clean crops. The integrated solutions provided by the company help producers to do this by using the most appropriate combination of all the technologies available to grow the desired crop. At the same time sustainability is vital, so crop protection methods must also support profitable production for the producer. The technologies available through Certis Europe include soil fumigants, agrochemicals, beneficial insects, microbiologicals, and monitoring and trapping systems using pheromones. 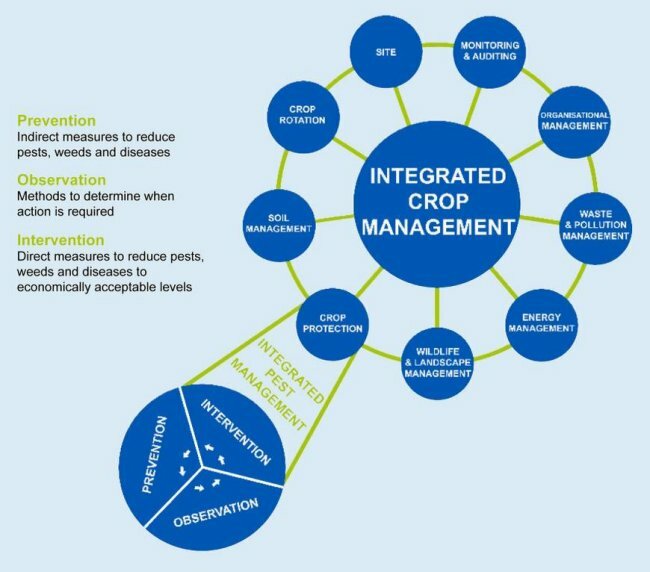 A planned programme incorporating those best suited to each individual crop requirement adds up to the Certis definition of Integrated Pest Management (IPM). These technologies are applied in a strategy that considers pests, diseases and weeds in terms of prevention, observation and intervention. 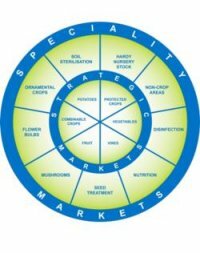 IPM is now a required strategy for the production of many crops in the speciality sector and Certis is uniquely positioned to provide the necessary solutions, products and services to producers of a diverse range of crops. Certis Europe has built an effective sales and marketing organization with a direct presence in major western European markets, selling through local distributors. Outside its direct sales territory, Certis markets its products through a network of national distribution partners. Certis communicates direct with end-users of its products and some sales, such as those of beneficial insects produced by BCP Certis, are made direct to growers. In addition to the Certis branch operations in the UK, Netherlands, Belgium, France, Spain and Italy, Certis has a sister company, Spiess-Urania, servicing the markets in Germany and Eastern Europe.